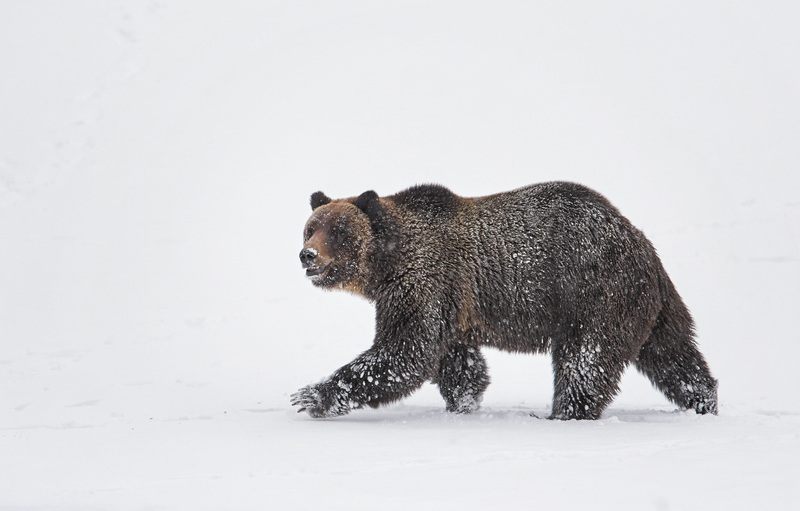 “Where can I find grizzly bears?” is probably the most common question I get regarding Yellowstone National Park. While hardly a surprising question given how the iconic bear species has come to symbolize the park, it is nonetheless a question with an elusive answer. 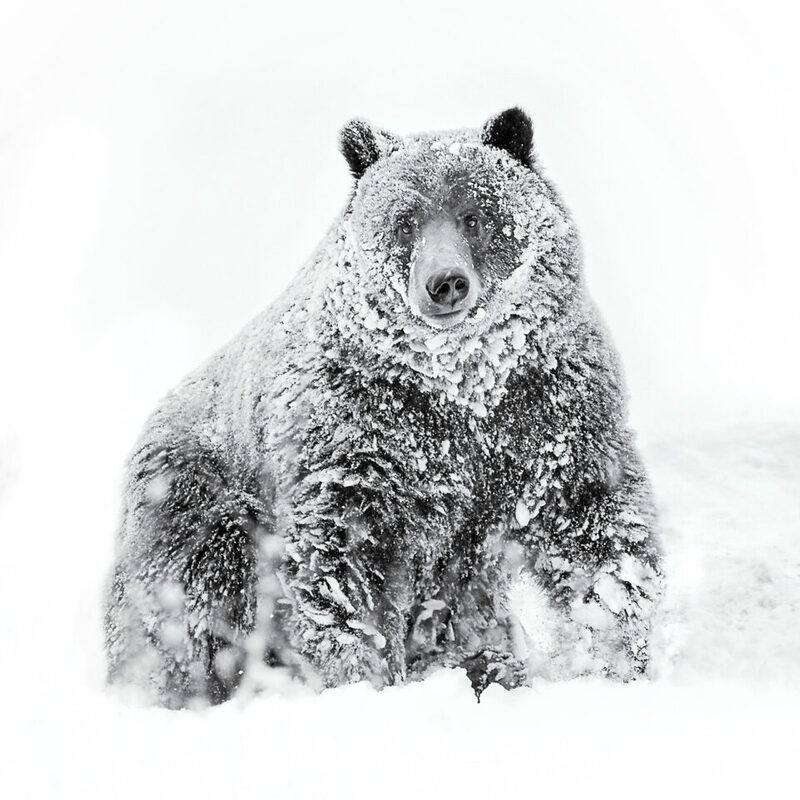 There are around 717 grizzly bears in the greater Yellowstone Ecosystem, a significant recovery from the 136 bears in 1975. The grizzly’s versatility means that they can be found in a range of altitudes and habitats so that they can be seen in almost any area of the park. 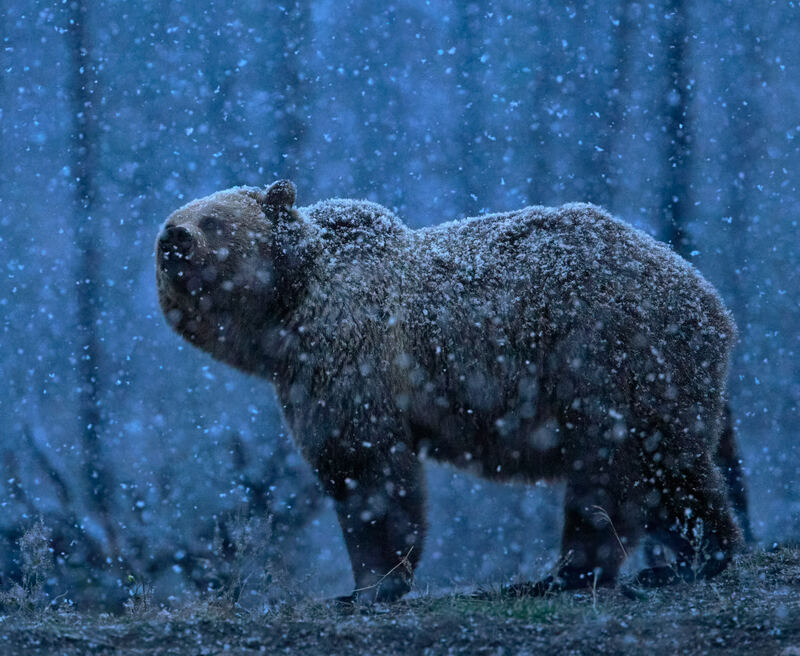 Grizzly bears hibernate throughout the winter months and begin to emerge from their slumber in early spring at around March. 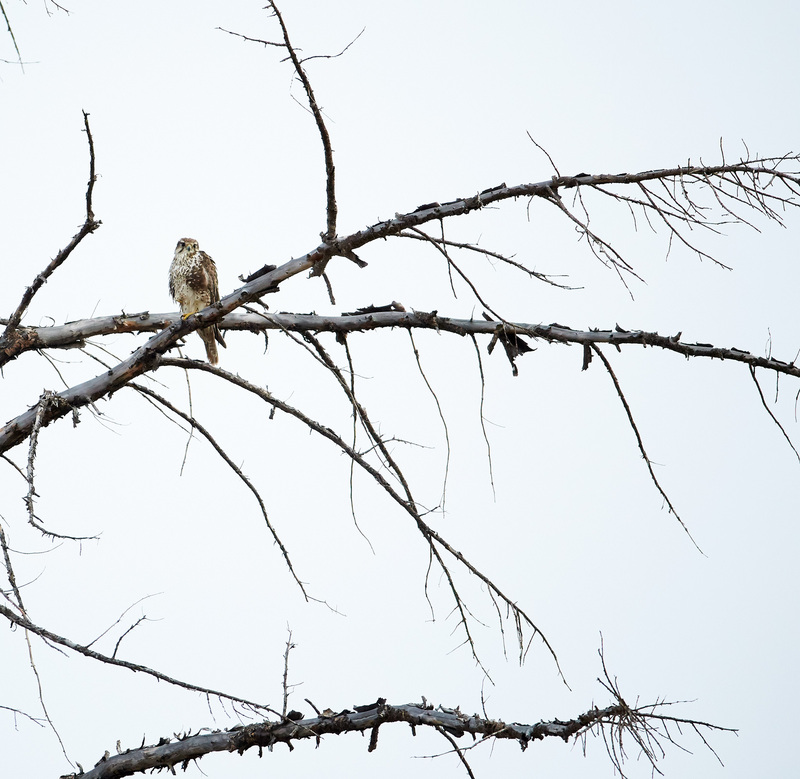 For much of the spring, early summer and the fall season they can be found around Yellowstone Lake, Fishing Bridge, Swan Lake Flats, and Lamar and Haden Valley Eastern Entrances. 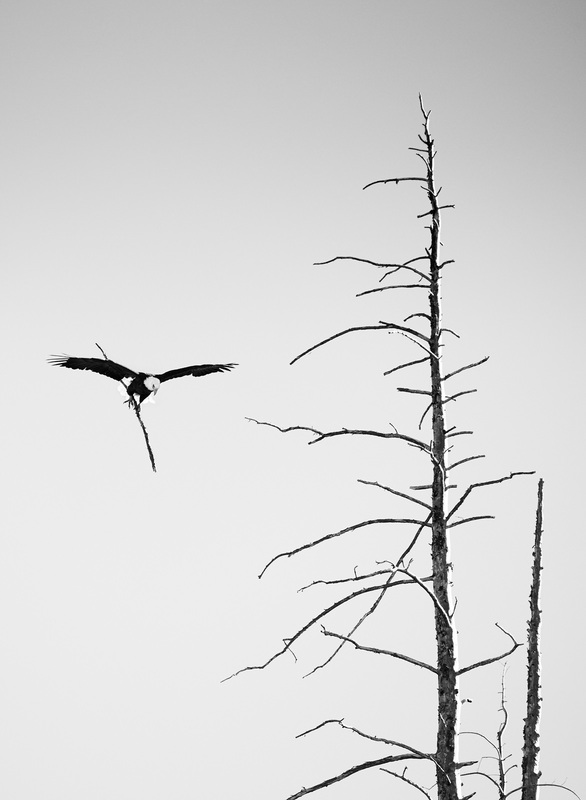 By mid-summer they are most easily found in the meadows in the Hayden and Lamar Valleys and along the higher elevations of the Tower-Roosevelt road. While most visitors will get a glimpse of grizzly bears in the famous Lamar and Haden valleys, the chances of properly photographing them in either valley is quite low. 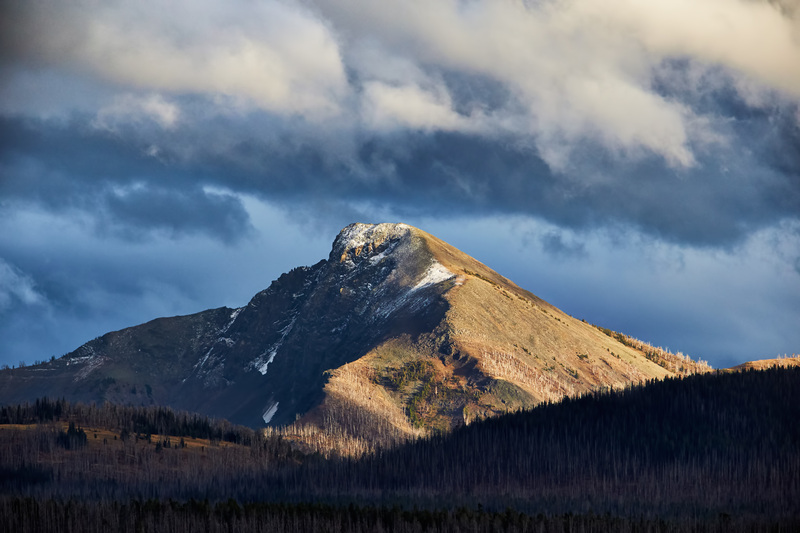 The vast, almost endless landscapes of Lamar and Haden mean that often you will be seeing bears through spotting scopes, far out of reach of even the best telephoto lenses. 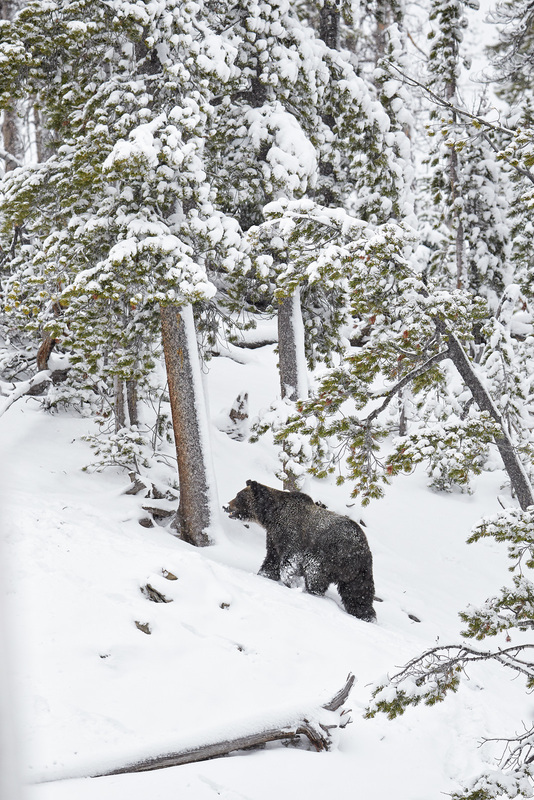 That does not mean that they cannot be seen well at Haden and Lamar, but when I am faced with the question of what is the single “best place to photograph grizzly bears” my answer is always unequivocally: The East Entrance Road from the Storm Point Trailhead to Sylvan Lake. The road that leads to the Eastern Entrance of the park from Fishing Bay Bridge would seem like an unlikely area to nominate for the best grizzly bear hotspot in the park. 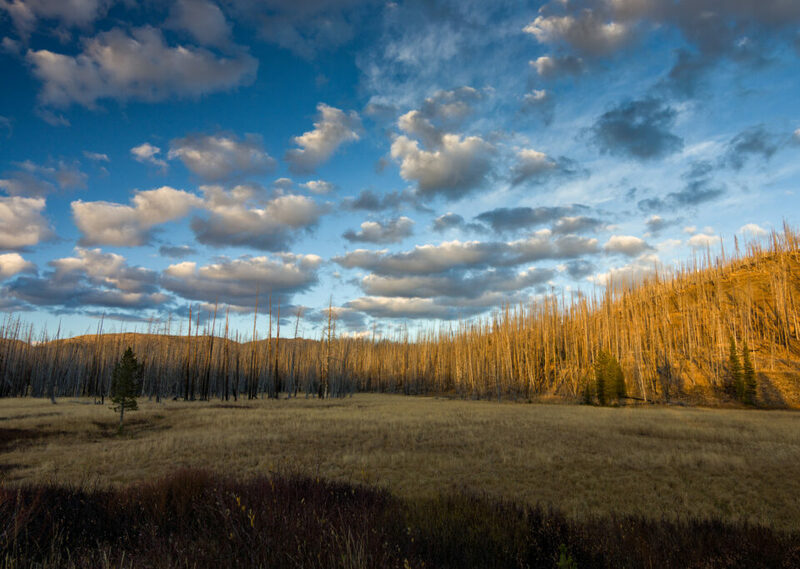 The burnt forests that dot the surrounding landscape convey a sense of complete lifelessness. Yet, after many visits to the park, this is the one place that I can almost always count on to get close encounters with grizzly bears. The burnt forests trees that surround the road offer a remarkable visual access into the depths of the surrounding landscape and this allows for an easier time spotting wildlife. The rolling hills also mean that unlike the endless valleys of Haden and Lamar, if you do spot something, there is a good chance that it will be under 100 yards from you, and thus in much better photographic range. 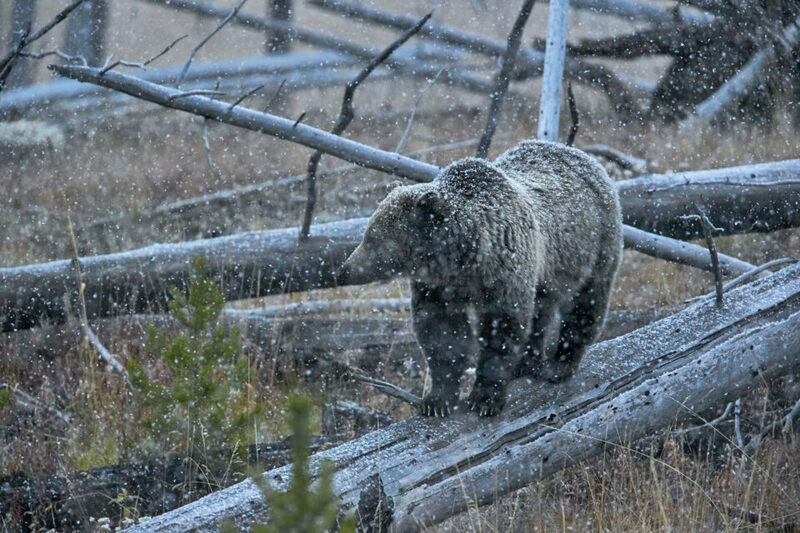 Most importantly, the northern portion of Yellowstone Lake is favored by grizzly bear mothers when they come out of hibernation in the spring and once again in the fall. 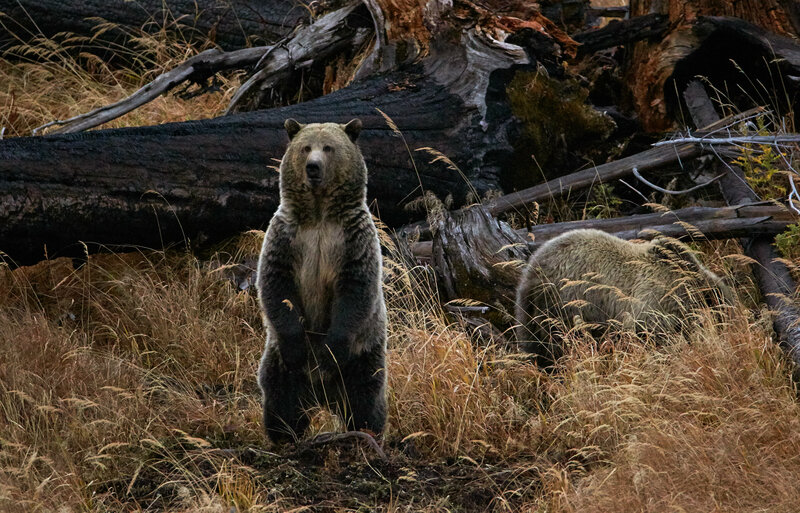 In recent years, few bears have come to represent this relationship with the lakeside more than the female grizzly affectionately named “Raspberry” who has been a consistent visitor to the area over the past few years. Most recently she has been accompanied by her sow “Snow” who has been tagging along with Raspberry the few remaining years on her path to adulthood. In addition, I have also seen a good number of grizzly bear boars make their way to the area in their endless search for food during the fall season. Often Raspberry will disappear if there is a heavy presence of males in the area because of the dangers they pose to her sow. A large grizzly bear boar. 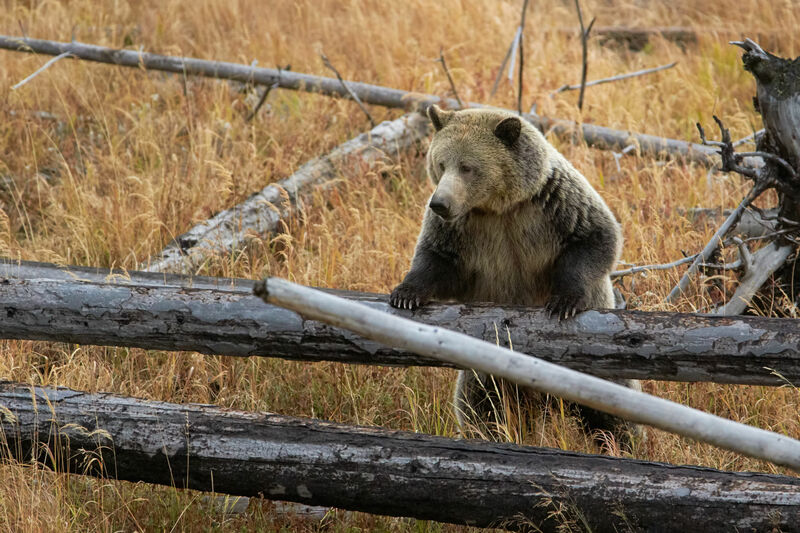 The key to finding grizzly bears here and anywhere in Yellowstone is to have a lot of patience and the perseverance to patrol along the road for days on end. Of course, even with all the effort in the world, luck is most important and there are never any guarantees when it comes to wildlife. The key is to be out early and be in the area from Sedge Bay to Sylvan Lake by the time the sun rises and to return there in the late afternoon. If Raspberry is in the area, then you are in luck and there is a good chance of seeing her throughout the entirety of the day as she forages for food. 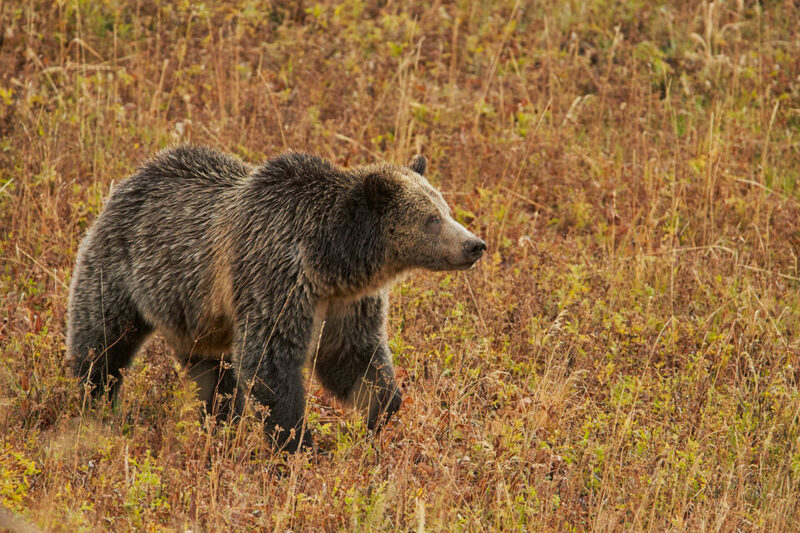 If she is not around, the chances of seeing a grizzly bear is greatly diminished but that should not discourage you from spending time in the area looking for bears and hopefully luck will be on your side. 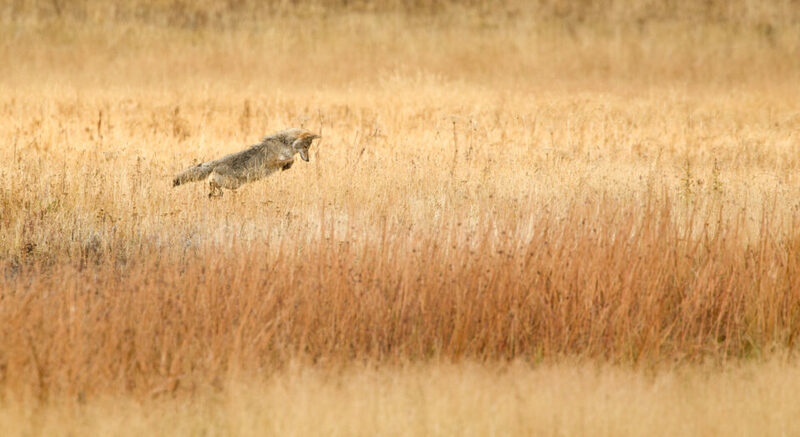 Another species that is common here is the Coyote, which is especially numerous along the Mary Bay stretch of road around the hot springs that border the lakeside. The grass rich area here has a large concentration of voles which the Coyotes hunt and I have seen many a Coyote here during the early mornings hours.